This article is the continuation of the white paper on ABBER – the innovative SDLC for implementing - Business Process Management (BPM) solutions. Here, I’ll discuss the best practices for implementing a BPM solution and on how to reap the benefits from an ABBER implementation. At the end, I’ll present a model for calculating ROI for a BPM project. Following are some key principles in implementing a BPM solution when using ABBER methodology. Limit your scope, and roll out your changes in phases. Remember any BPM change also requires training for end users so make sure, you do not over burden them. They should not feel overwhelmed by the amount of system change at a given time. Secondly, depending upon the number of organizations/units/departments, you’ll be impacting through rolling out the change, you will personally be impacted by the management of the change. The larger the population, the more skills and bandwidth you’ll require to institutionalize the change. A better idea would be to roll out the same change unit by unit, unless the change demands rollout across the organization in one shot. Another advantage here is that, you will have learned lessons from the first roll out / phase based on the user experience. Some of these lessons learned could be implemented before rolling out the next batch. This will give Business and IT more confidence in the success for the business improvements. For effective organizational change management, make sure, you’ve sufficient time to make the business units ready for change. Preparing appropriate training material, arranging road shows are example of good change preparedness. Make sure, you build sufficient contingency in your project plan for every milestone. If you come under pressure from senior management or from Business without them providing sufficient resources, you are planning for failure. Better be upfront about the project resource needs, assumptions, constraints and risks. It is highly recommended to document and secure a sign-off on these aspects and how they can impact the project’s budget and timeline, as IT will be held accountable for not delivering on time, lack of quality, cost overshooting, maintenance difficulties etc.. Plan well in advance to tackle these issues and secure buy-in of the senior management and the business. Let’s face it! Unless you speak about it, no one will know what challenges you are going to face in making the program a success. One needs to be upfront about the risks. Later on the stack holders will appreciate the fact that, you informed them in advance. Keep them in loop for new and evolving risks. Do not hide the facts fearing that, this will impact upon your career. Even if does, it will be much less painful than actually facing the risks, watching them evolve into reality and feeling helpless to resolve them. Believe me, you are not alone in this world, when it comes to risk, issues and fears. Those who neglect them are ignorant and will have to pay the price in the end. Provide advance notice for every activity. Some level of spoon feeding will help you gain more mileage. Prepare your stakeholders for the forthcoming changes and your expectations from them. They will be much more willing to cooperate with you, when you socialize them with the future changes and their responsibilities to make it possible. Win the battle first before winning the war! This will save lot of hassles and your approval process will turn out much more smoothly. IT has a tendency to show a lack of knowledge, when it comes to business and functional affairs. Do not show your dumbness to business. Learn the business aspect of implementation to understand and design a better solution. Initially, it will be difficult, but it will be extremely helpful in successfully implementing the solution. Another big advantage is that, when you understand the business work flow well and communicate with your team, the number of defects will be very low, when you offer the suite for User Acceptance Testing (UAT). This will cut down your cycle time. Better manage the requirements initially rather than later. 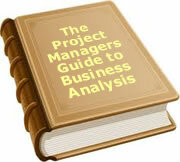 Gather all the business requirements, analyze and document them for you project. Map the business requirements to system requirements and system requirements to test cases. There is a fine balance, you’ll have to achieve, when you are into the analysis phase. Whether it is business analysis, technical analysis of issues, or any other problem analysis, if you try to be 100% perfect before you start taking action, you will never start your work. Be careful. There is no solution in this world, which is truly perfect. Carry out enough brain storming, but preset your goals, deliverables and schedule. Do not try to chew it more than it requires. If you do over analysis, there are many cons such as you’ll be considered as inefficient. You can lose budget. Most importantly, if you take too long, by the time you complete your analysis, the blue print you’ll have created can get outdated due to other simultaneous changes. The budget requirement can go up. Put a stick in the ground and draw a line. Decide where to stop and when to move on! It is more easily said than done. It is highly tricky to implement a simple solution. Business flow could be made simpler, but this is not that simple! At the same time, don’t try to over engineer a solution, which doesn’t demand it. Analyze the business needs. Don’t bring an elephant to put a nail on the wall. Being simple is smart. Thinking outside of box is the key to being simple. We always think that, you cannot make a big positive impact without investing big money. Is this true? Not really. A small improvement can generate a big impact and a bigger change has the probability to create an adverse impact. Start with small changes. I do not mean that, you should not have large scale implementation, but think about it. If you want to sustain the change, it is always beneficial, if you walk baby steps. You reap the benefits as you move forward. Analyze the cost of change against benefits. Estimate the length of reaping the benefits. Something beneficial now, may not be beneficial at all after a few years. Hence don’t bet on big budgets, unless you expect returns to be sustained for a longer period. The bottom line is that, the benefits should outweigh the cost. You can do Net Present Value (NPV) financial analysis. In the next section, I’ll present a customized ROI (Return on Investment) model for the ABBER methodology. Capability increases the revenue. The chances of success become higher. In today’s world, Business and IT is so interwoven that, it is of utmost importance to have highly skilled professionals on both sides. If there is lack of strength in any area, it can adversely impact the success rate for your company. In fact, IT should also have a basic understanding of the business. IT should be capable of carrying out business requirement analysis for any new initiative. Business should have a fair understanding of IT deliverables. For maintenance and support, there has to be agreed SLAs between business and IT. A knowledge workforce will enhance the profitability of the organization. IT should gear up to develop market intelligence ahead of your competitors. Collaboration is the key to success be it business, shareholders, customers or vendors. Devise a model, where people can exchange the ideas, thoughts and actions. Delegate the responsibility diligently, e.g. Decide how much time and effort you want your vendors to invest rather than doing everything through your internal teams. If there is lack of skill internally, leverage skills from the external world. Do not try to always own the skills, especially when the required skill set is temporary and the learning curve is long. Devise a strategy for collaboration. This will avoid duplicity and will generate efficiency and higher returns. Cost reduction could be brought by improving the operations, paperless business transactions, automating the manual work flow, thereby reducing manual labor. This means higher productivity and a more efficient workforce. Cost could be avoided by making the system capable of supporting compliance with regulatory agencies. The cost of paying a penalty in the case of system not being able to efficiently meet legal compliance in a timely manner could be very high. Plus being compliant means a better reputation for the organization and better shareholders’ confidence. Failure to do so can damage the company’s image in public, which is an intangible cost. Cost avoidance could also be achieved by decreasing any form of waste etc. Increased revenue could be achieved by a number of factors e.g. better end user experience, repeat orders, and word of mouth. The system can be made capable of bringing enhanced revenue by expanding business operation, internally as well as externally. This will grow the bottom-line for the organization. Find out the effective life of the business application. The organization may use the application for an extended period, but that should not be confused with effective life. Using the application over its extended life will make it costlier and result in diminished returns. The ROI would then become negative, as it will lose the business success criteria. As a thumb rule, never estimate a life of an IT application beyond 10 years. A normal life span will fall within 5 to 10 years range. Project Managers should be able to estimate and assemble the above costs to come up with an ROI. The maintenance cost should be calculated for the same numbers of years, as the effective life of the application. The ROI should be part of the discussion on budget approvals. Ideally, the IT and business managers should also be able to foresee future changes and cost related to those changes for the next 3 to 5 years. Program Managers should have a responsibility to build future roadmap for IT applications for the next 3 to 5 years. This white paper is a continuation of the white paper published on ABBER methodology for implementing a BPM solution. This article described how business and IT can benefit through using the best practices for a typical BPM implementation. The author can recommend these Best Practices through his real life experience in delivering BPM projects. At the end, it was explained, how to calculate the Return on Investment for an IT BPM initiative, since it is extremely important to understand the ROI before investing time, money and effort into a new initiative. This validation enables senior management to decide priorities within a list of contending programs. Sandeep Mehta has headed BPM practice for a company called “archents”. Currently, he is working for CSC, US as Project Management Principal Leader. He has vast experience in delivering enterprise level programs / projects, right from gathering the business requirements until deployment, maintenance & support. He has a deep understanding of the customer pain points, both from IT as well as the Business side. He likes to pen innovative thoughts and idea, which in the future can become a trend and practice. To date, 4 people have rated this article. The average rating is 5.00 - Add your rating. Just select a rating and click the button. No other information required.